By Tom Kertscher on Sunday, April 2nd, 2017 at 5:00 a.m.
PolitiFact Wisconsin examined the origins of this claim as part of the inaugural International Fact-Checking Day, April 2, 2017. Organizers at Poynter.org describe the day as "not a single event but a rallying cry for more facts -- and fact-checking -- in politics, journalism and everyday life." President Donald Trump and House Speaker Paul Ryan have had their differences ever since Trump emerged as the frontrunner for the 2016 Republican nomination. But once Trump won the election, Ryan has generally praised the former host of "The Celebrity Apprentice" TV show. And a major clash between the two GOP leaders certainly would lead the news. "BREAKING: President Trump Just Told Paul Ryan ‘You’re Fired.’"
The headline was on an article posted on TheLastLineOfDefense.org on March 14, 2017 (10 days before the Republican plan to replace Obamacare collapsed, with some conservatives blaming Ryan). The site operators describe themselves as "a group of educated, God-fearing Christian conservative patriots." The headline and article were also posted the same day on a site called usanewspost.us, which presents an overlay of photos of scantily clad women when you go to its home page. But not on any other site that we could find -- much less a reputable news source. 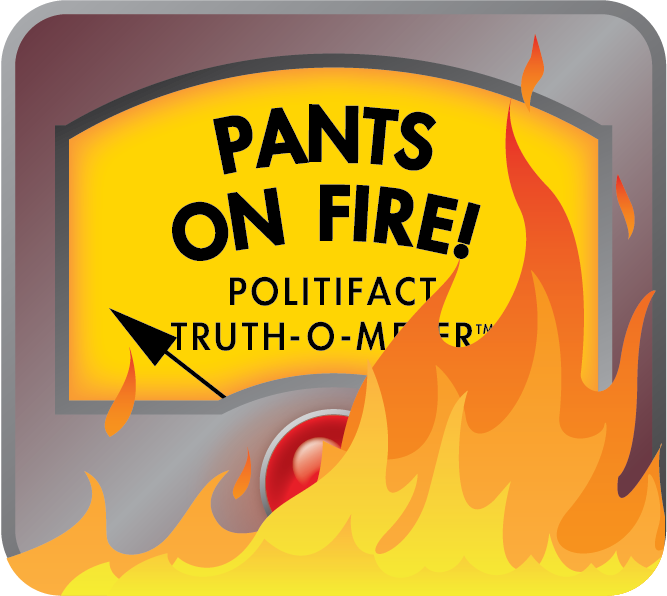 An aside, before we dig in: Roughly two-thirds of the statements made by bloggers that have been rated by PolitiFact have received a False or Pants on Fire. That includes a handful made by TheLastLineOfDefense.org. Its site carries a disclaimer that says its articles "may include information from sources that may or may not be reliable and facts that don’t necessarily exist. All articles should be considered satirical and any and all quotes attributed to actual people complete and total baloney." But you don't necessarily get that impression from any one article. In this case, the article begins by quoting a statement from "Jeff Derpinger at the WHOIP" as saying Trump "will no longer protect, defend or endorse anything the soon-to-be-former Speaker does, says or campaigns on. The betrayal of Paul Ryan and his subsequent dismissal as an advisor to the president and his upsoming (sic) loss in the election in 2018 is his own fault." We couldn’t find any connection between Trump’s White House and any person with that name or anything called WHOIP. The article, which doesn’t spell out what precipitated Trump’s alleged statement, ends by stating that Trump approached Ryan at a luncheon and told him: "Mr. Speaker, you’re fired." It goes without saying that if Trump had had such an encounter with Ryan, it would have been widely reported. One operator of TheLastLineOfDefense.org responded to our request for information to back up the statement by referring us to the site's disclaimer notice. In January 2017, BuzzFeed News reported that according to that man, identified as Zeke Wilekenmeyer, the site is "an elaborate trolling operation aimed at conservatives." Ryan press secretary Ian Martorana told us: "That headline is pure fiction." Bloggers said: "President Trump just told Paul Ryan, ‘You’re fired.’"
No such statement has ever surfaced in the mainstream news media, only on a website that warns that much of its material is satirical. Our rating is Pants on Fire. Published: Sunday, April 2nd, 2017 at 5:00 a.m.